No one will dare to follow you too closely! 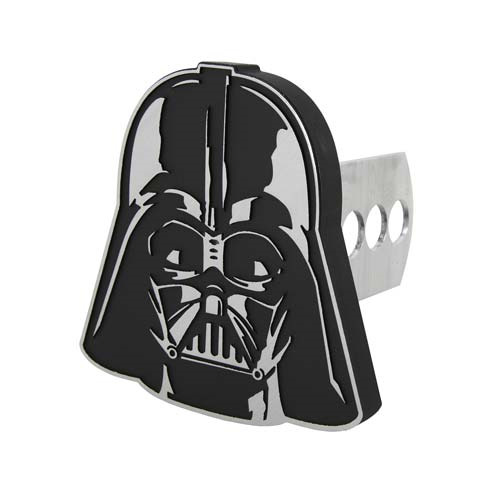 This Star Wars Darth Vader Hitch Cover features all-metal construction and a universal fit. It comes with fitting hardware for both 2-inch and 1 1/4-inch receivers, but a hitch pin is not included. Measures approximately 4 1/2-inches tall x 4 1/2-inches across Ages 13 and up.